What a pleasure to read submissions from women poets all over the world! The poems I’ve chosen for this issue of Persimmon Tree have in common a commitment to language and form. Their subjects are varied but seem to me to speak of engagements with our time of life – pleasure and memory and the other grand abstractions that take on flesh as we grow older in this lovely and vexed world. and thoughts of tomorrow’s climb. of man overboard (three). And tripled our efforts. with young couples and men all so much younger than me. gorge is steep and we cannot go back. I am one of a team. meditation, then, not calmness, but an adrenalin rush. rafting a flooded river came to an end. the page and the river. It everywhere I go, you would be so surprised! and where to place the letters in my case. to life in rhythms of the press’s beat. cocooning in their whooshing roll and clack. devoured by its own division. body. Then pieces of other bodies alive and dead. tell some truth. Otherwise, relax. night after night. Forget nothing stays. self on feeling. Fall back on all the music still alive. my right foot is a hoof. Whatever else you think, think this: death comes soon. gold on grey pebbles under our back window. came there and slept the morning away. I swear! much wider than they were stretched nose to tail. There. I’ve finished the first stanza, Rispello. Eight line blocks, each one eleven syllables. by breath come up to move clouds out of the way. to find them up the sandy hill. No, they’d gone. counting life up against death with her fingers. as big as hawks. And hawks and eagles. Rabbits. More. Jackrabbits, twice as big as dogs. And snakes. all over the arroyo. See what I mean? Yellow. The world is fractals, numbers. Still the world rots. now on the wall a lizard waits in sun for lunch. covered him then he was gone to Egypt, lost. His jealous brothers and their father also grieved. A gift of death turned into exile is good? Do I think I’ve made an argument for life? sleep weaves them into one body. Then they go. wounds, recovery sure or not? Bless us. 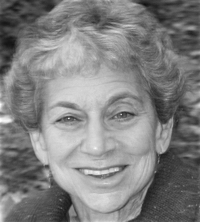 Caroline Cottom is a spiritual teacher and former director of the coalition of 75 national organizations that brought an end to nuclear test explosions in Nevada, described in her memoir, Love Changes Things, Even in the World of Politics. She also co-authored The Isle of Is: A Guide to Awakening with her husband Thom Cronkhite. Her poetry has appeared in Silk Road, Serving House Journal, and Pennsylvania English, among others. You can visit Cottom on her blog, www.lovechangesthings.net, and in the GoodReads group, "Love and Social Change." Meredith Escudier has lived in France for over 35 years, teaching, translating and raising a family. Her poetry and essays have appeared in Imitation Fruit, Writers Workshop Review, Alimentum, New Verse News, the International Herald Tribune and others. She is the author of three books: Scene in France, Frenchisms for Francophiles and most recently a food memoir, The Taste of Forever, an affectionate examination of home cooks that features an American mother and a French husband. 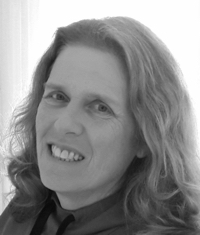 Sharon Goodier, a poet from Toronto, Canada, has had poems published in Carte Blanche (Montreal), Dove Tales Nature Anthology (U.S. 2015) and Adana, an anthology of women’s spirituality. In 2016 her poetry appeared in Koru and Quilliad. In 2017, she will appear in Porcupine Anthology, Tin Lunchbox. Her poems can be found on the website for Poets Reading the News. She is a founding member of the renewed Art Bar Reading Series. 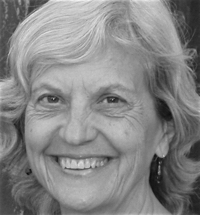 She hosts readings and reads widely around Toronto Lois Elaine Heckman is from Los Angeles, where she received a degree in Italian at UCLA. She now lives in Milan, Italy. Her works have been presented in Tilt-a-Whirl, Prole, Boston Literary Magazine, YJHM and, previously, in Persimmon Tree, among others. She won the final NESF Rubber Ducky Sonnet Contest and the 2013 Winning Writers Margaret Reid Poetry Prize for traditional verse, also achieving recognition in other international competitions, such as those sponsored by Poetry on the Lake, Hungry Hill, and Cannon Poets. Her chapbook, Out of Nowhere, was published by Kelsay Books (White Violet Press). S.E. Ingraham, a retired mental health consumer, writes from Canada's most northern provincial capital, Edmonton, Alberta. Her poems appear in print and on-line, and one poem is even carved in stone in a sidewalk in her hometown. Recent successes include her poem in "Poets 4 Paris," her first to be printed in both English and French, plus several on the site, "I Am Not a Silent Poet." A long-time peace advocate, she is happiest when her work reflects her philosophy. 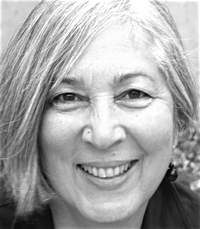 More of her poetry may be found on her blogs: http://soundofthewordnight.blogspot.ca/ or http://whenthepenbleeds.blogspot.ca/ Ellen S. Jaffe grew up in New York City, emigrated to Canada in 1979, and lives in Hamilton, Ontario. Her poetry collection, Skinny-Dipping with the Muse (Guernica Editions, 2014), was nominated for the 2015 Hamilton Literary Awards. Other books include Water Children, Feast of Lights, and Writing Your Way. 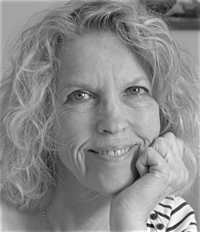 Her writing has appeared in journals and anthologies including Crossing Lines: Poets Who Came to Canada in the Vietnam War Era. She teaches writing in schools and community centers, and has worked as a psychotherapist. She has one son, who recently switched careers from social work to the Royal Canadian Mounted Police. Born in South Africa, Kath Jonathan has lived in Toronto for most of her life. She feels fortunate to be writing, teaching, and photographing in this amazing city. Jonathan was a finalist for the Janice Colbert Poetry Award, SCS, University of Toronto. She’s been a featured reader at the Art Bar Poetry Reading Series. An excerpt from her novel in progress, The Grave Sculptor, was awarded honourable mention for the Penguin Random House Fiction Award, SCS, University of Toronto and published in a chapbook. She’s recently published in Don’t Talk to Me About Love, an on-line literary journal. Benita Kape lives in Gisborne (Tairawhiti), New Zealand. On-line, her poems have appeared in nzepc Oban 06 and Fugacity 05. She loves the Japanese short forms, and her work also appears in Haibun Today and Simply Haiku. 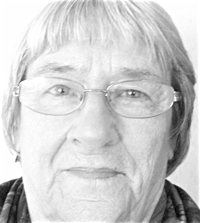 Her poems have also appeared in a fine line, New Zealand Poetry Society’s magazine and in Kokako, a N.Z. journal devoted to the Japanese form. More recently Kape has been published in Manifesto Aotearoa 101 Political Poems. Her poem “The Page and the River” has specially been written for Persimmon Tree. 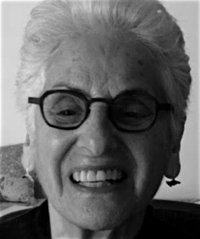 Hilda Raz is Luschei Professor of English and Women’s and Gender Studies, emerita, University of Nebraska. 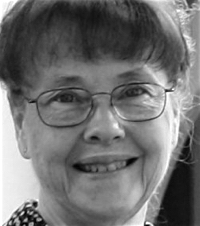 She was the fifth editor of the venerable literary quarterly Prairie Schooner and continues to write and edit as director of the endowed Mary Burritt Christiansen Poetry Series, University of New Mexico Press, and poetry editor of the magazine Bosque. Her twelve published books include poetry, memoir, and essays, and her work has been widely published in journals. She lives and works in Placitas, New Mexico. 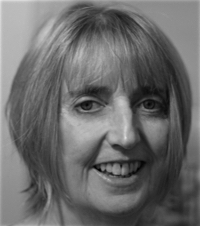 Sarah Thomson was born and raised in the UK and developed a love of writing from an early age. Having studied English at the University of Exeter, Sarah went on to have a varied career in publishing, accountancy, and Human Resources. Her writing is often inspired by new experiences and challenges. In addition to the UK, she has lived and worked in The Netherlands and Singapore, but Sarah always looks forward to returning to her much loved family and home in Bristol. 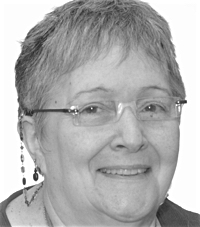 Originally from the San Francisco Bay Area, Joanne Veiss-Zaken writes from her home in Jerusalem, Israel. 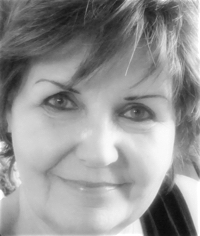 Her poetry and prose have been published in Voices Israel, Love in Israel, 65 Short Stories, and Spoila Online Magazine. View More: Next piece "Troublemakers in Action", Home, Archive.